Yes, that headline means Avalanche captain Gabe Landeskog is going home to Stockholm. 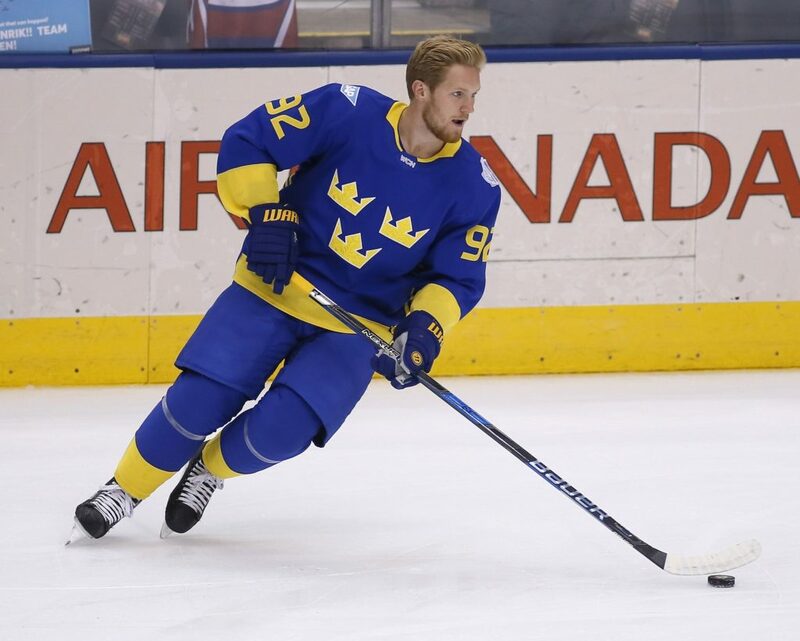 I caught up with Landeskog, shown above suited up for Sweden in the World Cup, and a couple of his Swedish Colorado teammates before the Avalanche departed for the four-game trip that closes with the pair of games against the Ottawa Senators in Stockholm Friday and Saturday. The Avalanche opened the trip with a 5-4 shootout win at Philadelphia Saturday and then fell 6-4 to the New York Islanders Sunday — in a game that will be most memorable for Matt Duchene’s exit from the bench after his trade to Ottawa was finalized during the first period — before heading for Sweden. “I’m stoked,” Landeskog told me. “I’ve been looking forward to this ever since it became official. It’s a dream come true to make the NHL and do this for a living, and for a kid from Sweden or anywhere in Europe to play in the NHL. 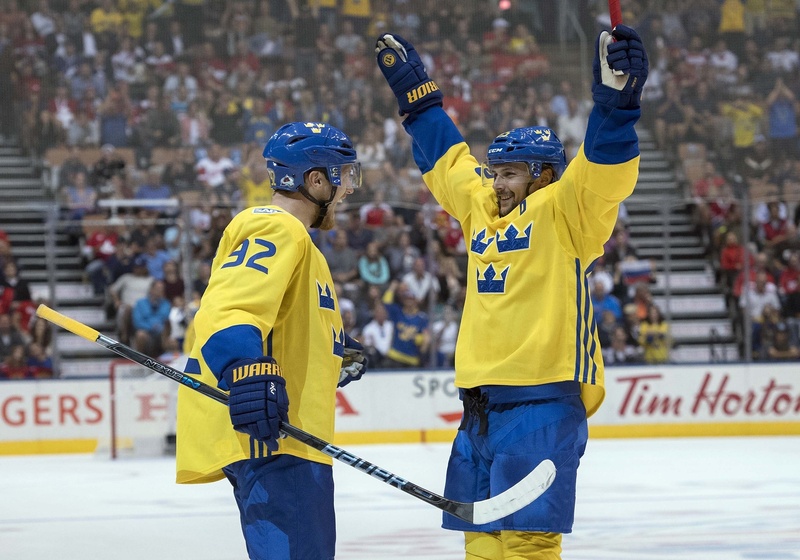 The two-game matchup, announced late last season, is a savvy marketing move for the NHL, since both captains — Erik Karlsson of the Senators, the league’s top defenseman; and Landskog — are from Sweden. That makes sense, actually. Landeskog, already in his sixth season as Avalanche captain at age 24, was born and raised in Stockholm. Karlsson, the opposing captain, hails from Landsbro, about 212 miles from Stockholm in central Sweden. Landeskog’s father, Tony, played two seasons in the Swedish Elite League and additional years in the second division. Tony went into the insurance business in Stockholm, and his wife, Cecilia, was a cook. Their young son, Gabriel, had a poster of the Avalanche’s 2001 Stanley Cup champions on his wall — and by 2012 was named the Colorado captain. Since turning pro after two seasons of major junior with the Kitchener Rangers of the Ontario Hockey League, Landeskog has played in Stockholm for Sweden in the World Championships and for Stockholm-based Djurgardens in the Swedish Elite League during the 2012-13 NHL lockout. Yet these games will be big for the Landeskog family. 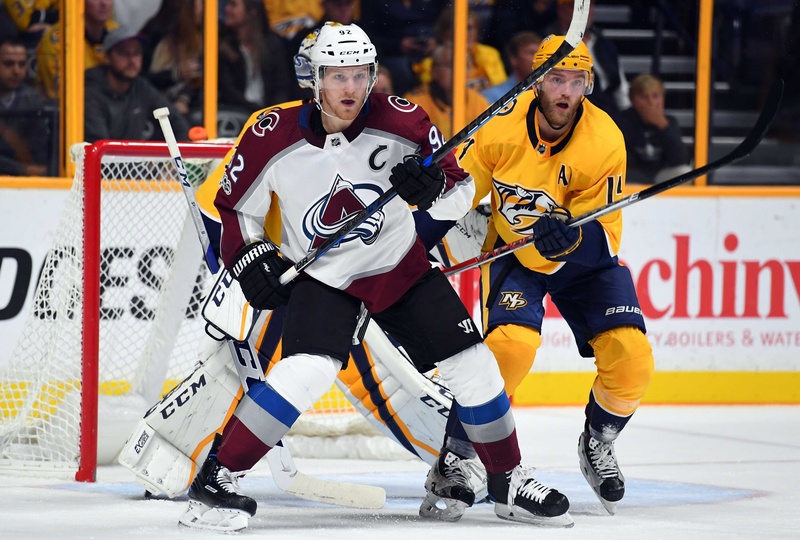 Nemeth and Landeskog became Avalanche teammates when Colorado claimed Nemeth on waivers from the Dallas Stars on Oct. 2. 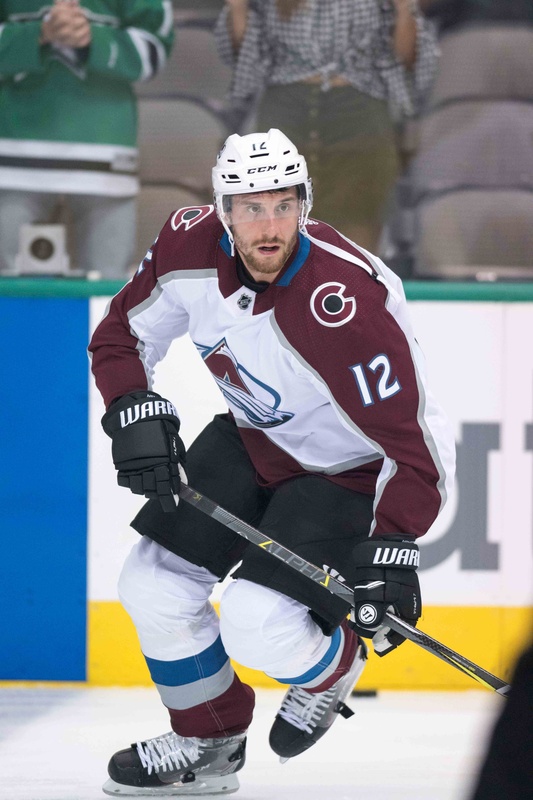 At the outset of the Avalanche’s four-game trip, the roster’s other Swedes were defenseman Anton Lindholm and center Carl Soderberg. Lindholm is from Skelleftea, nearly 500 miles north of Stockholm, while Soderberg is from Malmo, at the extreme southern tip of Sweden about 380 miles from the capital city. But Lindholm suffered a broken jaw against Philadelphia Saturday. 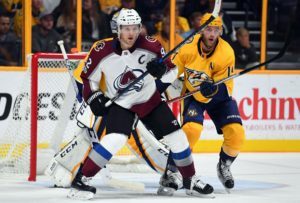 Denver-based journalist Terry Frei writes commentaries about the Avalanche for Mile High Sports. He has been named a state’s sports writer of the year seven times, four times in Colorado (including for 2016) and three times in Oregon. He’s the author of seven books, including the fact-based novel “Olympic Affair” about Colorado’s Glenn Morris, the 1936 Olympic decathlon champion; and “Third Down and a War to Go,” about the 1942 football national champion Wisconsin Badgers and the players’ subsequent World War II heroism. His web site is terryfrei.com and his additional “On the Colorado Scene” commentaries are at terryfrei/oncolorado.